What is a Needle Beam? This always comes up in the practice questions, what is a needle beam and what are they used for? Basically, these are temporary beams, used to hold up a structure while structural work is being done. These needle beams are often used to hold up a house/building/structure, while doing foundation work. 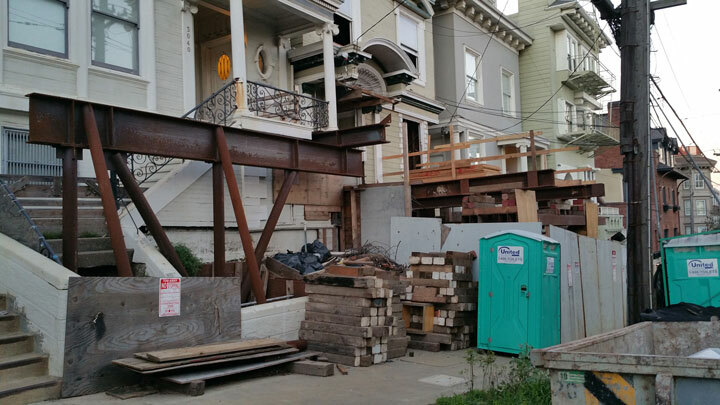 If you have to take out and re do a portion of an existing foundation, your contractor will most likely use a needle beam while the work is going on. 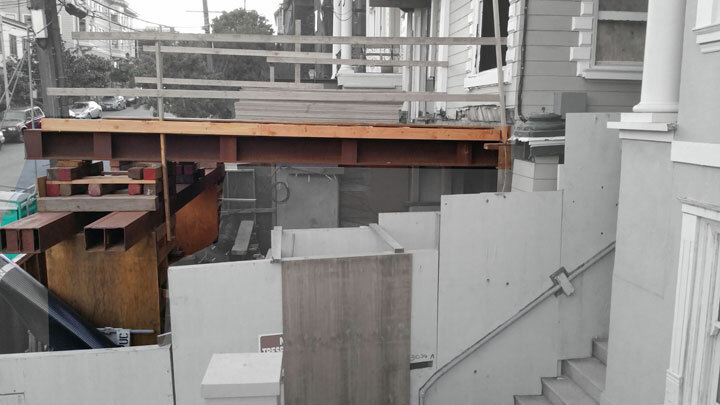 I have found a real life example of a needle beam being used on a construction site in San Francisco. Take a look, and hopefully this will help you understand the whole needle beam concept. Relatively simple, but hard to describe. Needle Beam in Action, you can see that this beam goes from the street, into the house, while work is done in the garage/foundation area to the house. Here we see the same beam, from the other side. Also you can see the needle beam that rest on the cantilevered beam just below the porch at the top of the stairs. All that steel is a temporary support used during construction.